Paint By Number is the all time, tried and true classic painting craft. The paint kit includes everything you need to create your own masterpiece, including: a paintbrush, chart, a canvas, and water-based acrylic paint. The certified non-toxic paints come in an expansive color range and clean up easily with soap and water. 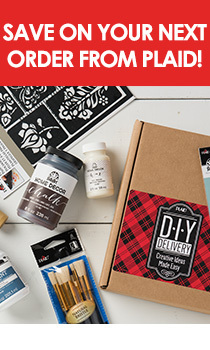 Painters of all skill levels will enjoy creating their own masterpieces with Plaid Paint by Number kits; simply paint by number and marvel at the results. Canvas measures 16" x 20". Just match the paint color number to printed number on the canvas and fill in. Includes 24 0.169 oz. acrylic paint pots, #1 round brush, chart, and instructions. Water-based acrylic paint for safe and easy clean-up.